There's still time to participate in Color Challenge 48! Remember, you don't have to have the EXACT colors to play. Just use colors inspired by the ones you see below. This challenge features summery colors to inspire you — Wild Wisteria, Lavender Fields, Blu Raspberry, and Sour Apple. 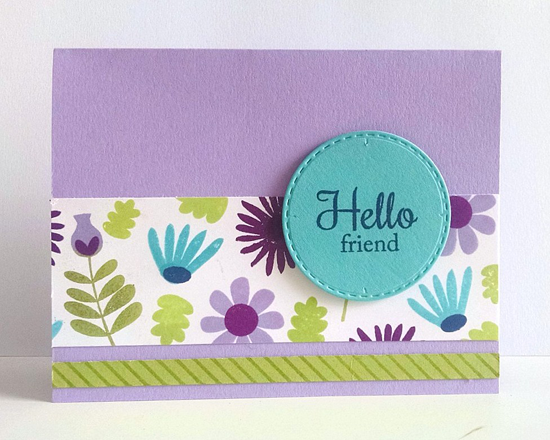 From MeganBeth comes this pretty floral design featuring our Fall Florals stamp set. It's simply lovely, don't you agree? If you're an MFT Challenge Fan, you can see that she's used Sketch 286 as her design inspiration. And check out this sweet card by Andrea Shell. 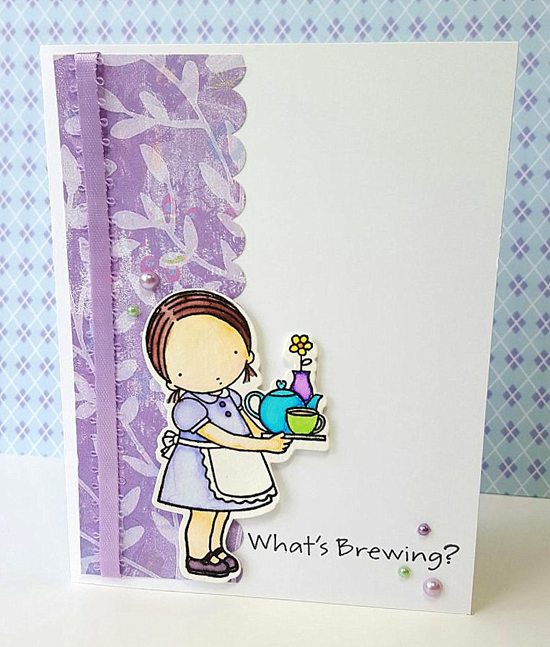 She features the Steeped in Love stamp set and Die-namics coloring up the vase, teapot, and tea cup to match Color Challenge 48. This card does double duty as an entry for Sketch 286! :) Thanks for the shout out! Do you have to use MFT stamps? You can use anything you like! You can't believe how shocked I was to see my card featured! I have goosebumps! Thank you for an awesome start to my day!